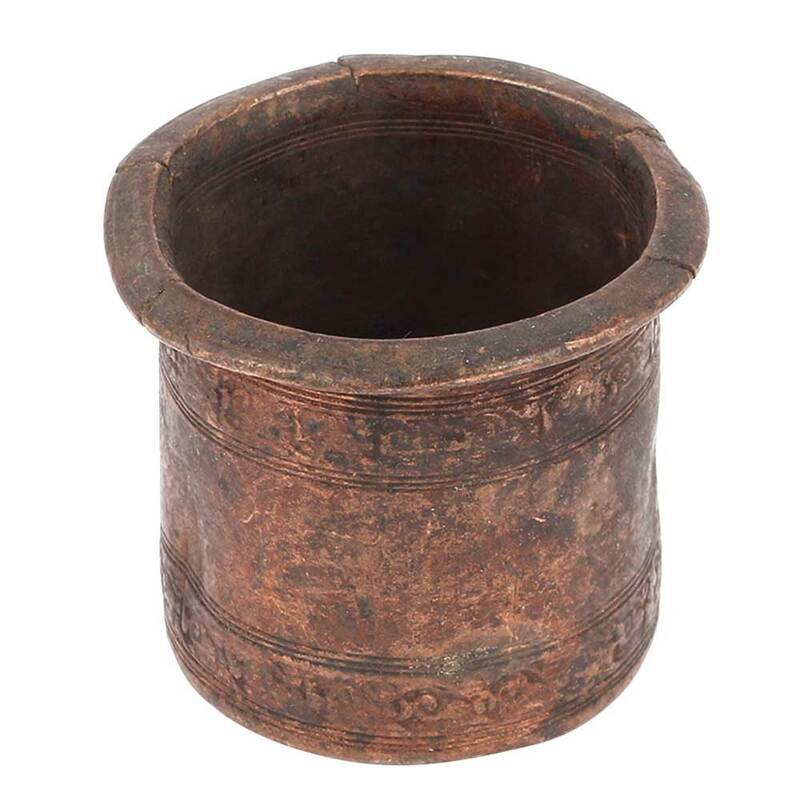 The measuring cup is made of bronze by the local artisans of India and it is handmade. 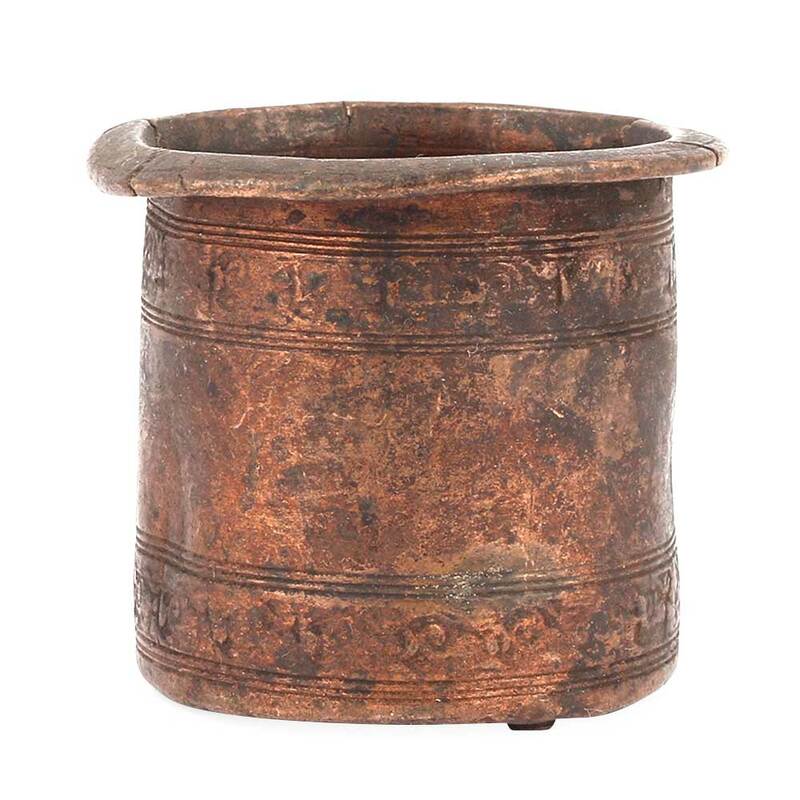 This cup is used for measurement and this cup has a irregular shape. Mouth Width: 2.4 Inches approx.